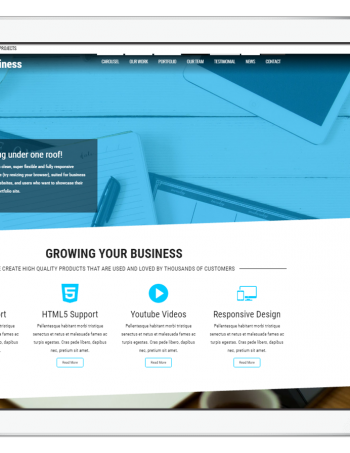 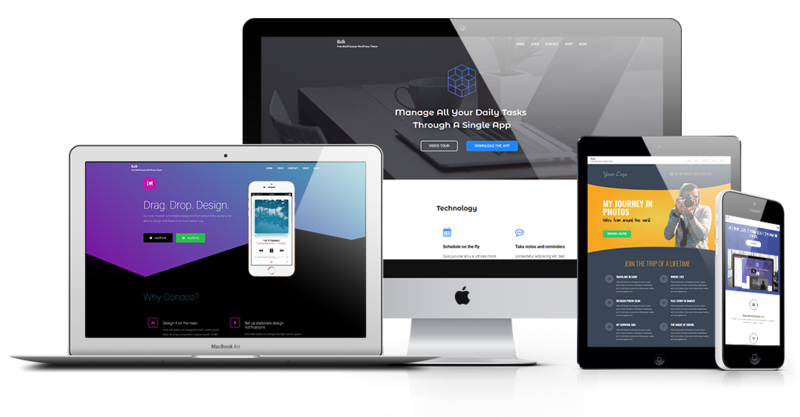 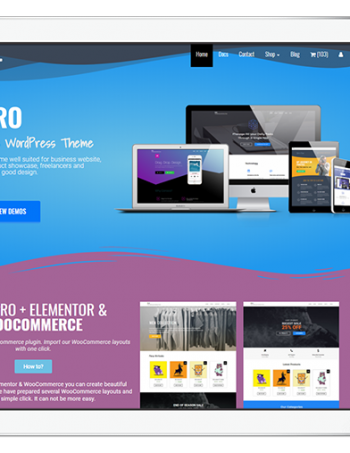 Bestore is lightweight, very fast, clean responsive free WooCommerce WordPress theme. 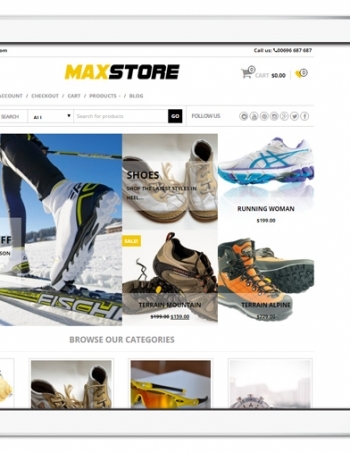 Bestore is the perfect free theme for e-commerce shop. 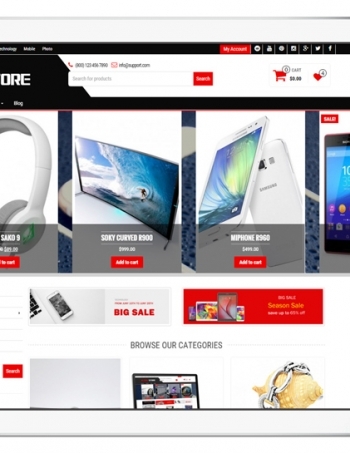 Theme is Search Engine Optimized (SEO) friendly. 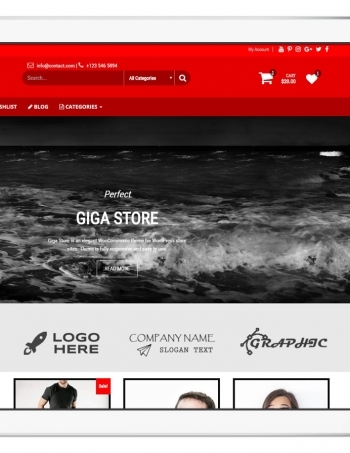 Theme is perfect suitable for clothing, electronics, mobile, fashion, affiliate and almost any type of store. 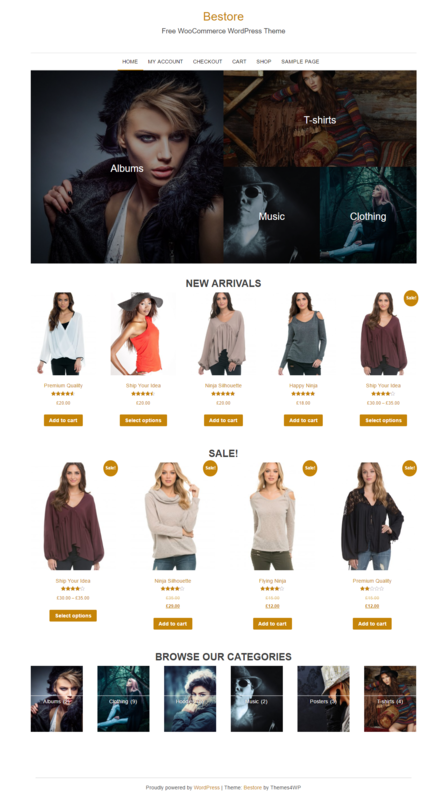 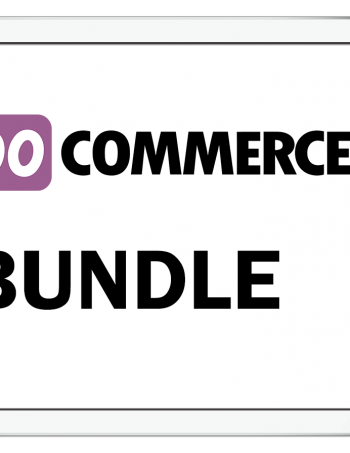 Bestore is easy to use free WooCommerce WordPress theme.